So here we are, coming up for that time of year again! 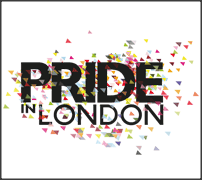 That's right; from the 23rd June – 30th June 2013 London will be celebrating the ever amazing London Pride week. 1 million people attending the London Pride of 2010 made it the largest outdoor event in the UK and with the celebrations growing bigger and better each year, this year promises to be no exception. The activities prior to the main week include documentary screenings, performances and street parties, followed by a hugely busy week of theatre shows, talks, readings, plenty of networking opportunities, music and of course the Pride Parade on London Pride day which falls on the 29th June, followed by after-parties that are not to be missed. With events starting as early as the 7th June and lasting until the 13th July, across 12 areas of London, there is something for everyone. The parade itself starts at 1pm and ends at approximately 4pm, starting at Baker Street then making its way through London around Oxford Street , Oxford Circus, Regents Street, Haymarket, Trafalgar Square and finally ending in Whitehall. There are around 150 groups participating in the parade, the biggies include Google, Facebook, Unilever, Channel 4, Vivienne Westwood and Microsoft UK, to name but a few. After the parade there will be entertainment in Trafalgar Square or you could party well into the night at events such as London Pride's "Glitterous", held in the Soho venue Carom (with a host of DJ's playing music all day and night along with club dancers, it is a must for those who are a fan of Ibiza style celebrations). If you happen to be more of a festival lover, there is also the "Summer Rites Pride" in the Park in Shoreditch from 1am – 11pm with 7 dance arenas, a selection of music to suit everyone, a fun fair and food and drink available (an all-rounder event suitable for everyone). London Pride welcomes those of all different orientations and genders, whether lesbian, gay, bisexual, asexual, questioning, intersex, transgendered, straight and everything in between - the more the merrier! Winter Pride is back in Brighton (and Hove)!